Mold is fungi found in the natural environment. Hundreds of thousands of mold species aid in decomposing nature’s debris and can be found floating harmlessly throughout the outdoor air. When mold latches onto moisture-rich areas indoors, however, mold poses as a serious health problem to a home’s inhabitants and causes severe structural issues to the property’s building materials. Since mold spores aggravate vulnerable immune systems in humans and weaken building structures, property owners are well advised to address mold growth immediately. Professional mold remediation experts should be contacted to eliminate the presence of mold inside the home. When members of your household suddenly start to sneeze and wheeze and experience a variety of allergy symptoms out of the blue, mold growth may be the culprit. If you see black splotches inside the home, these dark eyesores may be flourishing mold. A musty odor also is a solid indication of mold, especially surrounding the areas of a pipe burst or plumbing leak, even if the mold is invisible to the naked eye. Any of the above signs of mold require a professional mold inspection. A mold testing service not associated with the mold remediation company will arrive onsite to test the air quality. Direct surface testing is also performed to gauge the extent of mold growth. Advanced techniques in mold testing include using infrared cameras to detect hidden sources of moisture. The mold testing professional will also use high-tech instruments, like a borescope, to look behind walls, underneath carpets and within ducts to search for mold growth. Samples of the air and surfaces are sent to a laboratory to be evaluated. As the property owner, you will receive a report detailing the presence and extent of mold growth within your home. Mold thrives on moisture and an organic food source, like wood, fibers or drywall. Dry areas are unable to sustain mold. When mold is detected inside your home, the most critical step is to eliminate the water source. Moisture inside the home can stem from a range of causes, such as a leaky roof, faulty plumbing or inadequate ventilation. Additional methods to reduce the moisture inside the home include directing dryer vents to the outside. Basement walls that harbor moisture through leaks should be caulked; and, defective mortar should be replaced. The presence of excess moisture inside the home also indicates the need for additional insulation. Moisture inside bathrooms and kitchens can be addressed by turning on fans. Wet garments should be dried out thoroughly before placing the items in a hamper. Stretch out shower curtains to allow them to completely dry. Most importantly, humidity levels inside the home should be maintained between 30 and 50 percent. 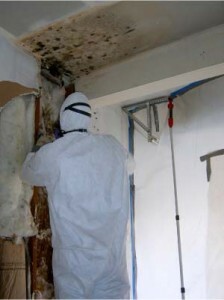 Mold remediation experts will determine the extent of mold within the home. Once the spores are located, plastic barriers are placed between entryways and exits to prevent the fungi from contaminating other parts of the home once cleanup begins. Negative air pressure is utilized by teams of mold remediation technicians to force the air containing mold spores into the sealed areas. The home’s HVAC system and all fans are turned off to prevent the spread of spores once the specialists start the mold remediation process. Homeowners are advised against attempting to clean up mold growth that spans over ten square feet. Attempting a do-it-yourself job on large areas only spreads the spores, allowing the mold to contaminate other areas of the home. Mold remediation specialists will remove carpeting or drywall that has been infested with mold. Antifungal and commercial grade antimicrobial treatments are applied to areas where mold has flourished to stop the spread of spores and prevent new mold colonies from taking root. Nonporous surfaces are also treated with biocides. Sinks, tiles, countertops and bathrooms are common areas where biocides are applied to annihilate mold spores. Wooden floorboards, drywall and other porous surfaces that cannot be dislodged from the property are treated with generous amounts of microbials to bring all mold growth to a complete standstill. The final stage of a professional mold remediation project is to disinfect the property. All affected items within the home, like curtains and upholstery, are thoroughly cleaned. Deodorization of the home is also an important step that helps return the property to its pre-loss condition. Carpeting that has been destroyed by mold colonies is replaced. Walls ruined by mold are painted with specialized paints or whitewash to prevent future eruptions of mold growth and to restore the home. Certain features of a residence, like cabinets, drywall and clothing, that have been eaten away by mold spores are removed to bring the mold issue to a close. 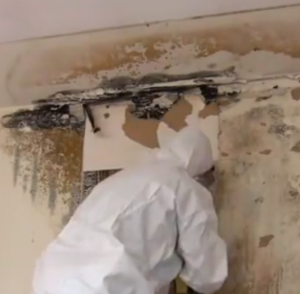 Mold is an unsightly and dangerous mess. When your home or business property is infiltrated with an influx of mold, contact Houston’s number one mold remediation service, ServiceMaster Restoration and Cleaning. The professional mold remediation specialists will take all the necessary steps to remove the mold from your home or business and thwart future outbreaks. The licensed professionals at ServiceMaster Restoration and Cleaning respond swiftly to calls. Plus, our Certified Water Restoration Technicians utilize the most advanced mold removal equipment to completely remove mold from your property. Included in our mold remediation services are a full inspection and moisture assessment, the removal of moldy contents, air quality control and cleaning, and the sanitization of the property using antimicrobial treatments. We also offer temporary storage to house damaged goods while the property is being treated. ServiceMaster Restoration and Cleaning is recognized as an industry leader. We are locally owned and operated, offering the Houston, TX community of businesses and residential properties reliability and quality service in mold removal. The dedicated team at ServiceMaster Restoration and Cleaning is available 24 hours a day to take your emergency call. Don’t wait until mold colonies have seized your home. 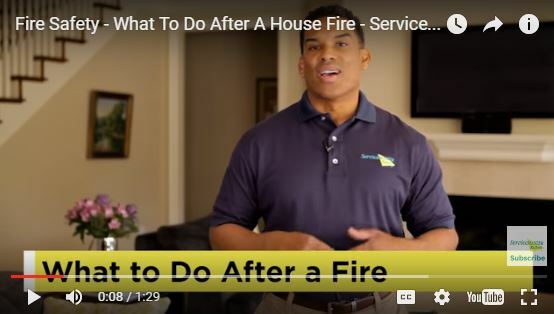 Take quick action to put a final stop to the spreading damage. 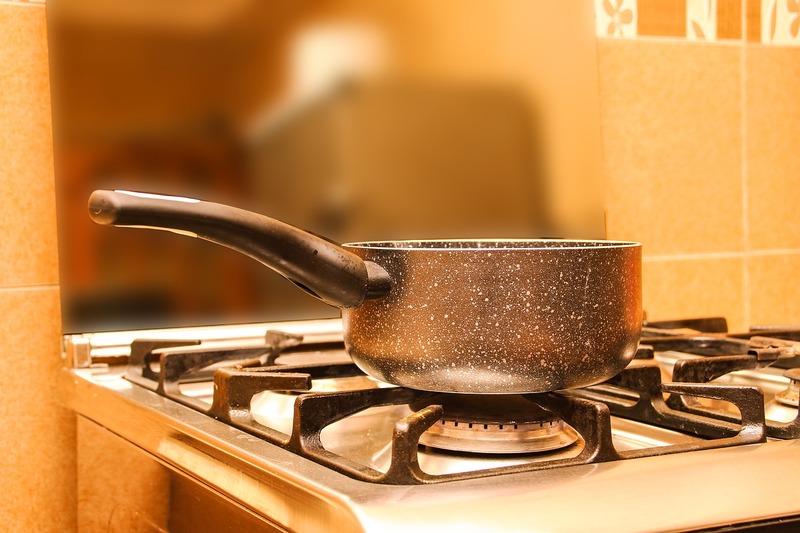 As it cools, cooking grease can solidify and clog pipes, leading to backups and expensive plumbing issues. Here are three alternatives for cooking oil disposal that will prevent flooding problems and won’t cost you money in the long run. 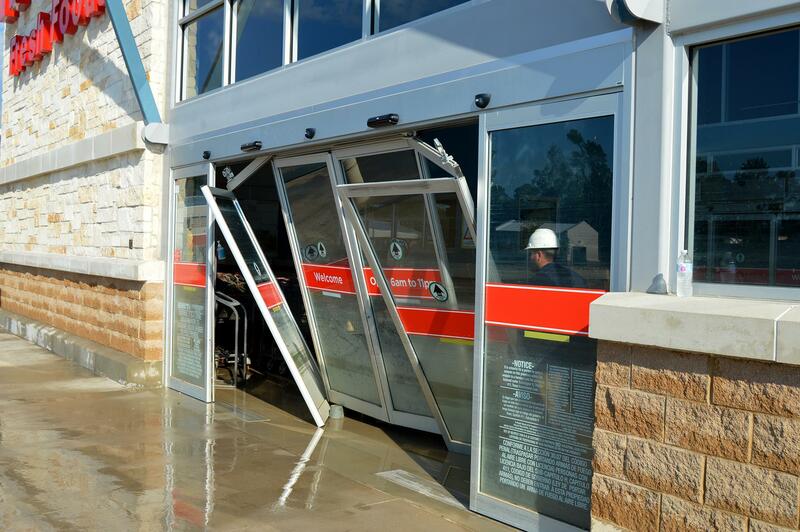 Proper business hurricane preparedness can ensure employees’ safety, minimize financial loss, and expedite recovery. Proactive behavior and advance planning can save a business owner thousands of dollars in lost revenue due to structural damage, building content damage, interruption of business operations, and employee displacement. Therefore, it’s crucial for a company to have a well-established hurricane response plan in place.